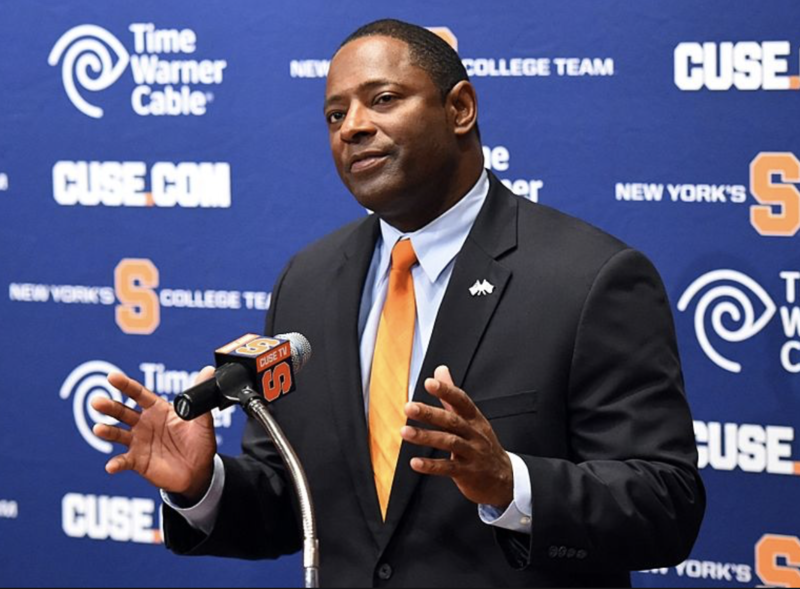 First off, I hope everyone had a fantastic Thanksgiving… after all, Dino Babers probably did. In less than a 24-hour span, Syracuse received commitments from linebackers Lee Kpogba and Mikel Jones, as well as safety Cornelius Nunn. It’s no secret that the three recent commits provide a sense of relief for the Orange. Syracuse was tied with Louisville at dead-last in the ACC for 2019 commits before nabbing Kogoba, Jones and Nunn, according to 247Sports. The next-worst was North Carolina, who the Orange is now tied with. There is reason for optimism though. After the back-to-back-to-back commitments, it wouldn’t be crazy to suggest that the season Syracuse is having has helped with recruiting. Better yet, with plenty of time remaining in this year’s circuit, this season’s success can also help moving forward. Let’s look at Nunn’s path for a second. The three-star safety committed to the Orange back in June before de-committing in October. But since then, Syracuse has gone 5-1, having just lost to Notre Dame, but proving its worth regardless. Now 8-3, ranked 20th in the nation with a chance to make a legitimate bowl game, why wouldn’t Nunn at least reconsider? As for Kpogba, who committed to SU on Wednesday, he chose the Orange over a crop of programs that included West Virginia and Florida State. Many expected he would land in Tallahassee, but that wasn’t the case. As we know, Kpogba committed to Orange instead of the Seminoles, who have struggled under first-year head coach Willie Taggart. For Jones, the consensus four-star linebacker committed to Syracuse over Ole Miss, Auburn, Clemson and Georgia. Rather than at his other top choices, there may be more playing time for Jones on The Hill. Regardless, Babers and company have to be feeling good about pulling a player from schools like those, especially when he fills a position of need. Syracuse now has the 62nd-ranked recruiting class in the nation, and 12th in the ACC, according to Rivals.com. The Orange has never ranked that low by the end of the circuit under Babers, but after the three recent commitments, Syracuse fans can still be upbeat. Recruiting season is not over as more commitments will certainly be made. All in all, if the Orange looks to get more commitments like the ones it’s recently received from Kpogba, Jones and Nunn, its last two games, especially its bowl game, could be crucial. Syracuse has exceeded expectations this season, but has a chance to go even further. A win over Boston College, and whoever the Orange sees in a bowl game would definitely boost the image of its program, and in turn, perhaps reel in some solid recruits to play in the new-and-improved Carrier Dome.